Containing four tracks instead of the usual three, the fourth and final full-length sampler once again hands you some exclusive gems from the Future Sound Of Egypt, Vol. 3 compilation. Setting the mood for a quartet of top notch tunes is UCast’s take on a stunning Aly & Fila original feat. Karim Youssef & May Hassan called ‘In My Mind’. 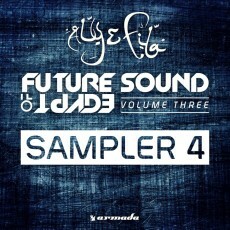 Second is ‘Volkach’ by Kayosa & Tolland, showcasing their classic trance sound. Liam Wilson – ‘Summer Sun’ is also featured as an amazing full-length exclusive on this Sampler and the last spot belongs to Manuel Rocca and his slammer ‘No Turning Back’! Four smashing records for sampler number four; what else could you possibly need?